DURABLE TRAINING LEAD - This Durable Woven Polypropylene dog training leash will outlast Standard Nylon Leashes. All stitching is reinforced and the nickel plated clip swivels to resist twisting. Our long dog leash is great for small and medium and large dogs. LONG LEASH: This training leash is great for teaching your dog recalls. It has the length needed to allow them to wander and ensure your command to come! is obeyed. Allows you to teach your dog recalls and other obedience skills. Built Strong: Woven Polypropylene leashes have a long lifespan, cotton leashes get frail and break faster than you would think. 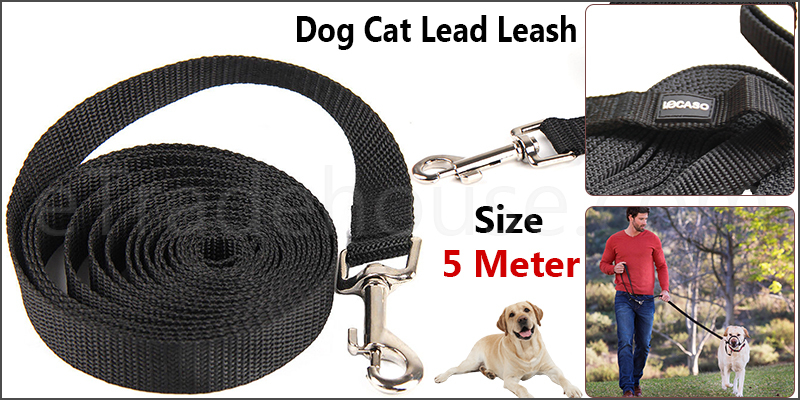 This long leash is built with heavy duty materials that can withstand daily use over an extended period of time. DIMENSIONS: Tested to support 20Kg pull force. Great for hiking, camping, training, hunting, backyard, beach, recall training, outdoor play with tennis balls, and swimming!